"Game of Thrones" will end with a 1 hour, 20 minute episode. HBO shared an official length and air date Friday for all six episodes in the show's eighth and final season. As previously reported, Season 8 will kick off April 14 with a 54-minute episode. The season premiere will be followed by a 58-minute episode April 21. Episode 3, which airs April 28, will be the longest of the season at 1 hour, 22 minutes. Episode 4 airs May 5 and will run 1 hour, 18 minutes, with Episode 5 following May 12 at 1 hour, 20 minutes. Episode 6, the series finale, airs Sunday, May 19 at 9 p.m. E.T. "Game of Thrones" stars Emilia Clarke as Daenerys Targaryen, Kit Harington as Jon Snow, Lena Headey as Cersei Lannister and Sophie Turner as Sansa Stark. The series released a first Season 8 trailer featuring the characters last week. 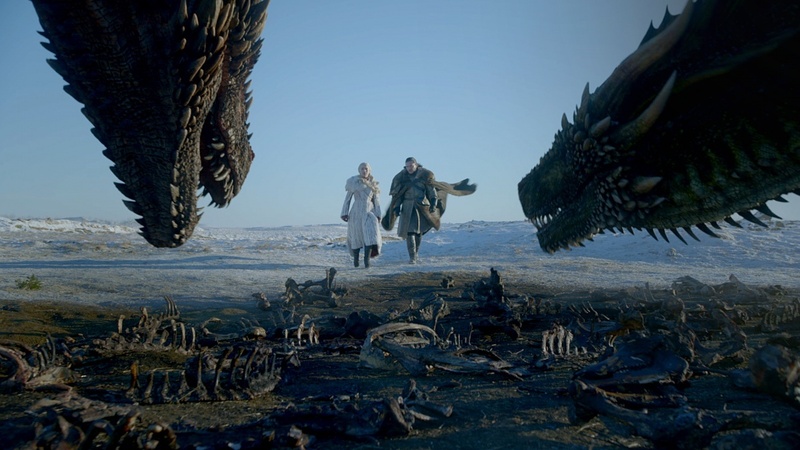 Season 8 will show Dany and Jon arrive at Winterfell, where Jon left Sansa in charge in his absence. Clarke said in a new interview with Harper's Bazaar that Dany meeting Sansa was an "exhilarating" experience. "I felt for her. I was like, 'Yes! here we are! We're in, we're speaking with Sansa, we are that much closer. It felt great. Very, very exhilarating," the actress said. "Game of Thrones" is based on the "A Song of Ice and Fire" book series by George R.R. Martin.